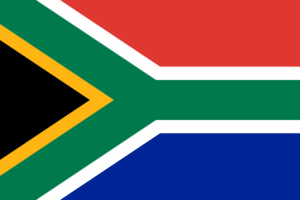 The national anthem of South Africa which was adopted in 1997 combines extracts from the Xhosa hymn Nkosi Sikelel’ iAfrika (“God Bless Africa”) with extracts from the former national anthem Die Stem van Suid Africa (“The Voice of South Africa”). It is one of the National Symbols of South Africa. Lord bless us, your children. What is the meaning of Nkosi Sikelel iAfrika? Nkosi Sikelel‘ iAfrika is a hymn that was originally composed in 1897 by Enoch Sontonga, a Xhosa clergyman at a Methodist mission school near Johannesburg. It means “Lord Bless Africa“. Who wrote the national anthem of South Africa? Nkosi Sikelel iAfrika was composed in 1897 by Enoch Sontonga, a Methodist mission school teacher. The words of the first stanza were originally written in Xhosa as a hymn. “Die Stem van Suid-Afrika” is a poem written by CJ Langenhoven in May 1918. The music was composed by the Reverend ML de Villiers in 1921.